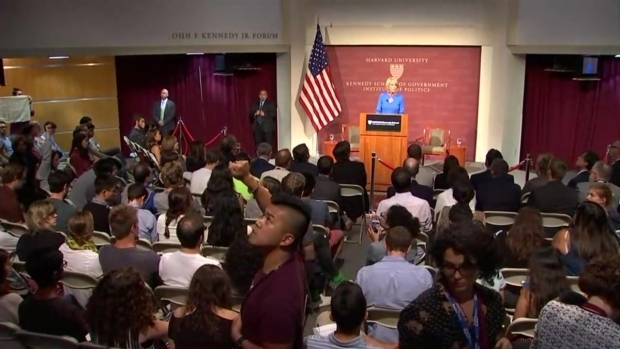 In this September 7, 2017, file photo, Education Secretary Betsy DeVos speaks about campus sexual assault and enforcement of Title IX, the federal law that bars discrimination in education on the basis of gender at George Mason University Arlington, Va., campus. The report by the National Center of Education Statistics looks at students who began their undergraduate education in 2003 and defaulted on at least one loan over the next 12 years. 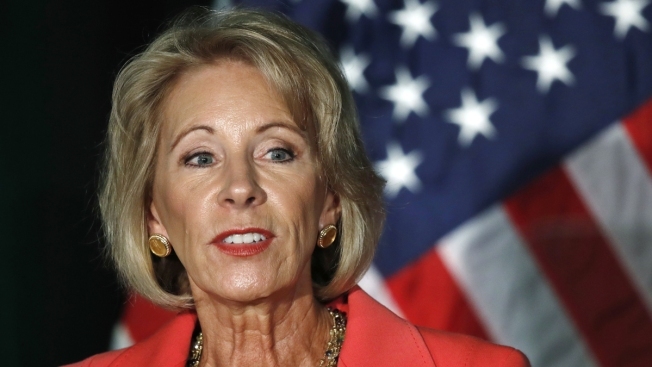 Fifty-two percent of the students who attended for-profit schools defaulted on their loan. That's compared to 17 percent for those who attended a four-year public institution, slightly more for those who attended a private nonprofit institution and 26 percent at community college. 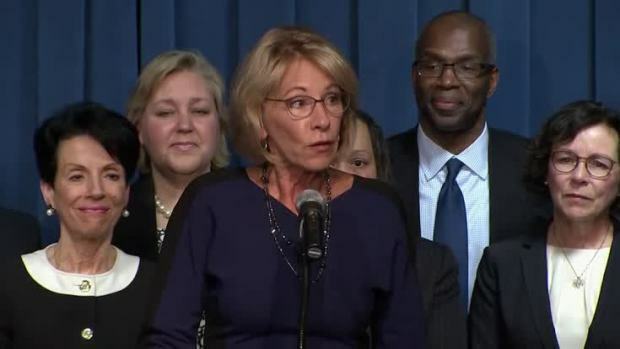 Betsy DeVos addressed the Department of Education on Wednesday, Feb. 7, 2017, after a contentious confirmation vote saw the first tiebreaker from a vice president in history.